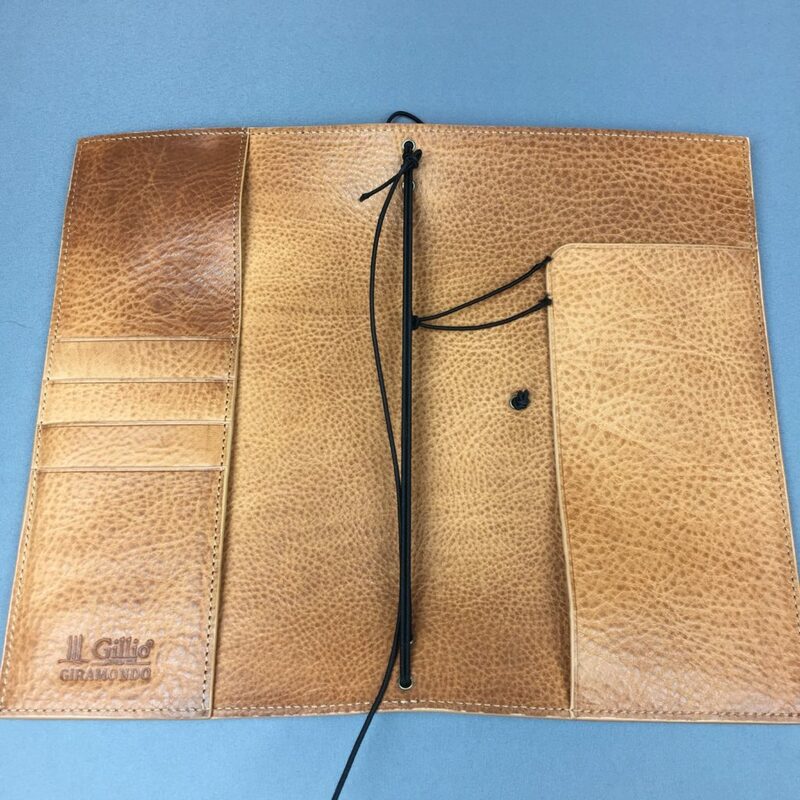 At PlannerCon Europe 2017 Gillio Firenze announced the release of products in un-dyed leather. 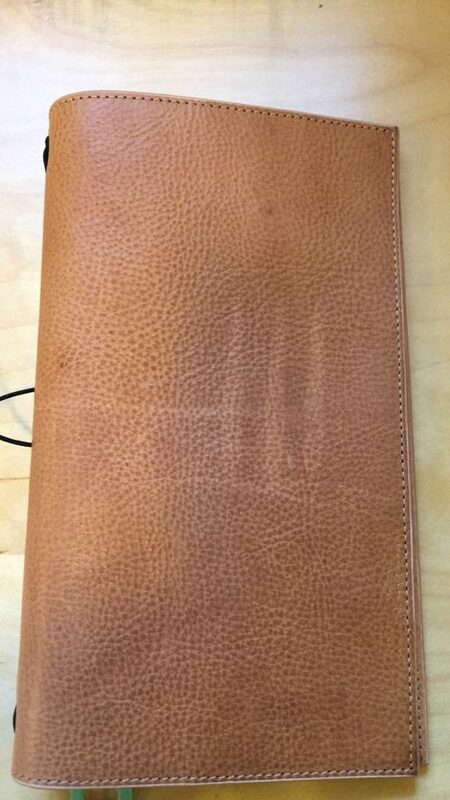 The Appunto is their Hobonichi cover. 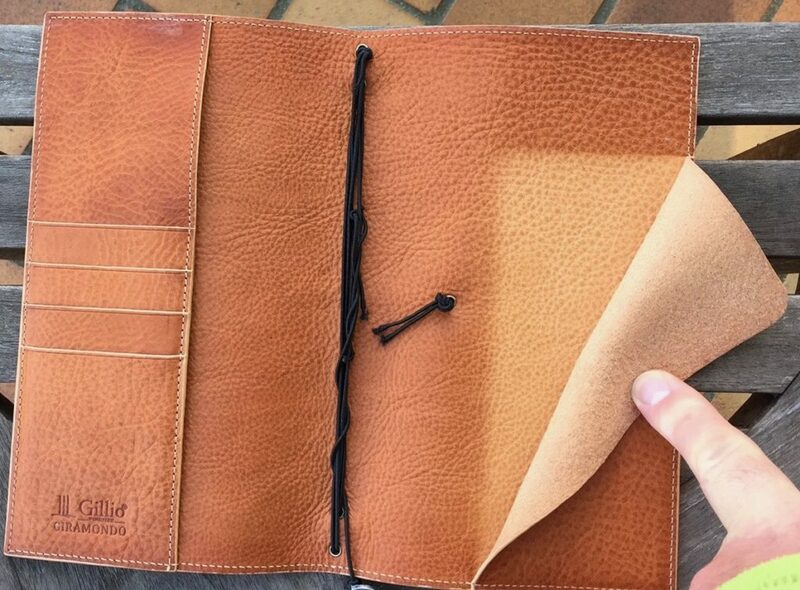 I expect that they will be releasing other products in un-dyed leather in the future. 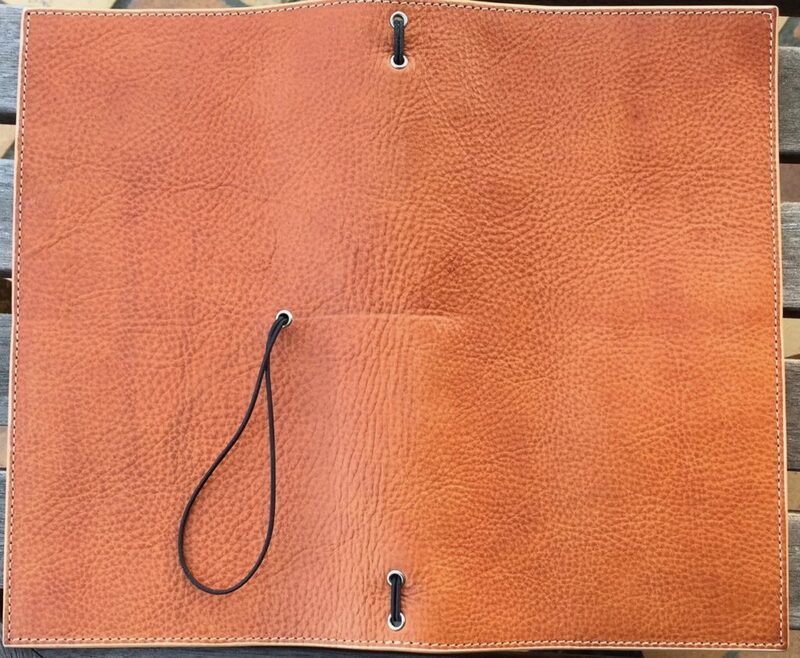 Back in December 2016 I was sent a Gillio Giramondo in un-dyed leather to test out. 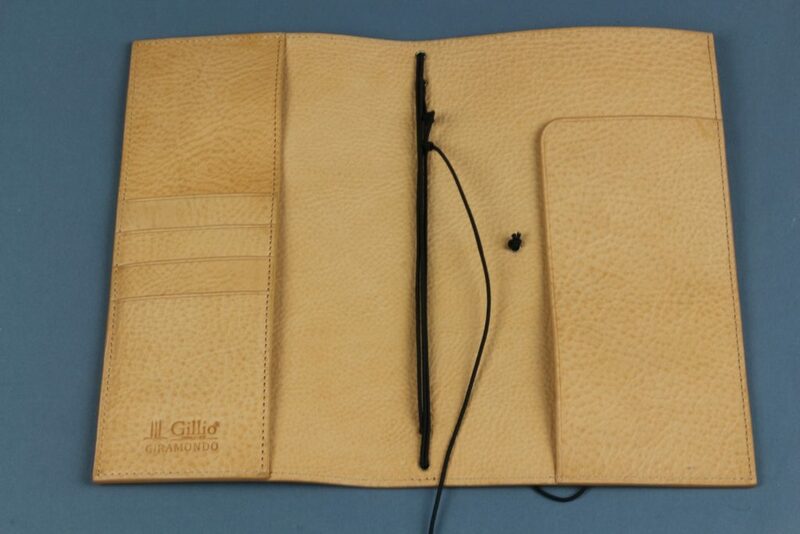 Other prototypes had been sent to other admins on the Gillio Facebook group to test over a period of months. The other people did fairly normal usage tests by using the products every day. 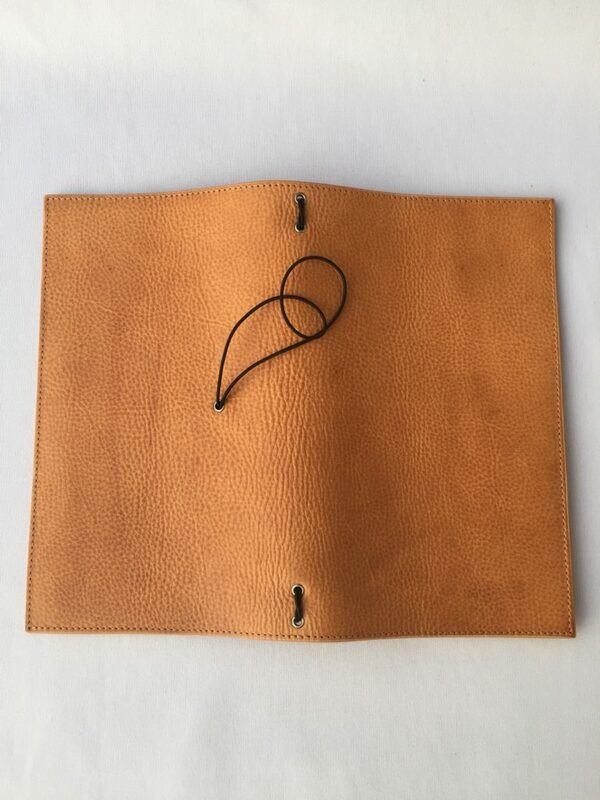 I wanted to look to see what would happen if a customer applied any leather care products to the un-dyed leather, what would happen to it, what would it look like etc etc. Gillio were naturally interested in what customers might experience and so they would be prepared for any bad experiences. 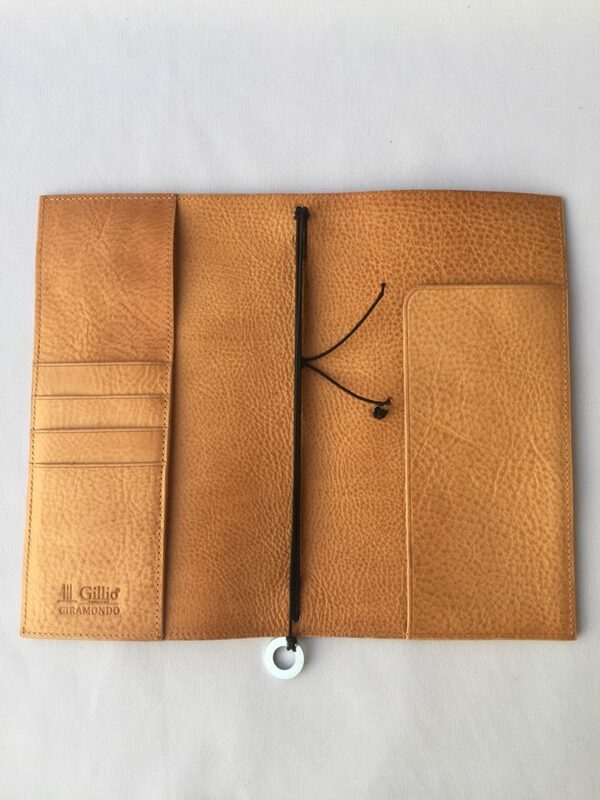 Un-dyed leather is literally untreated, it is the natural hide so it is very susceptible to absorbing the oils from your hands, to sunlight, as well as being contaminated by anything it is left close to or it absorbs from our natural environment. So here is a series of photos of the Giramondo that I took and what had happened to it at each stage of the tests. So these first photos were taken on the 23 December the day I received it. Just a close up under slightly different lighting. 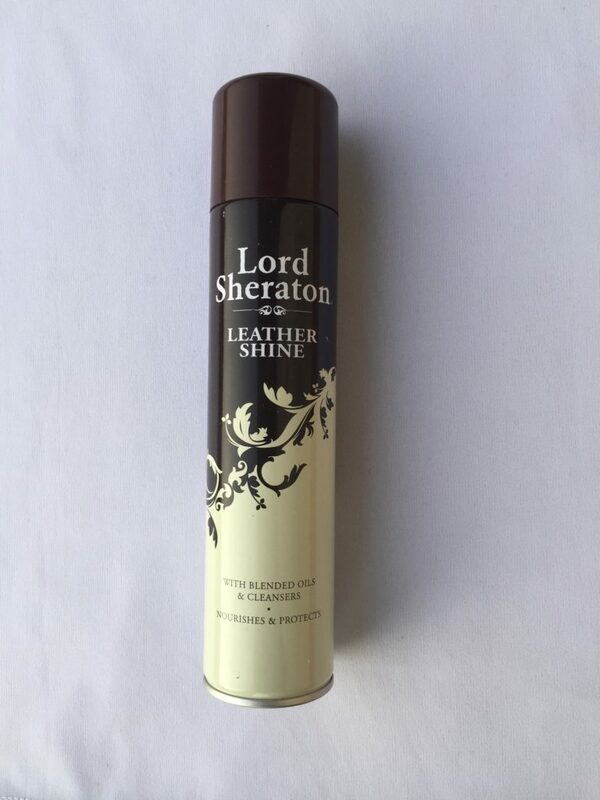 Once Christmas and the New Year was out of the way I decided to give it some leather care treatment using this product. 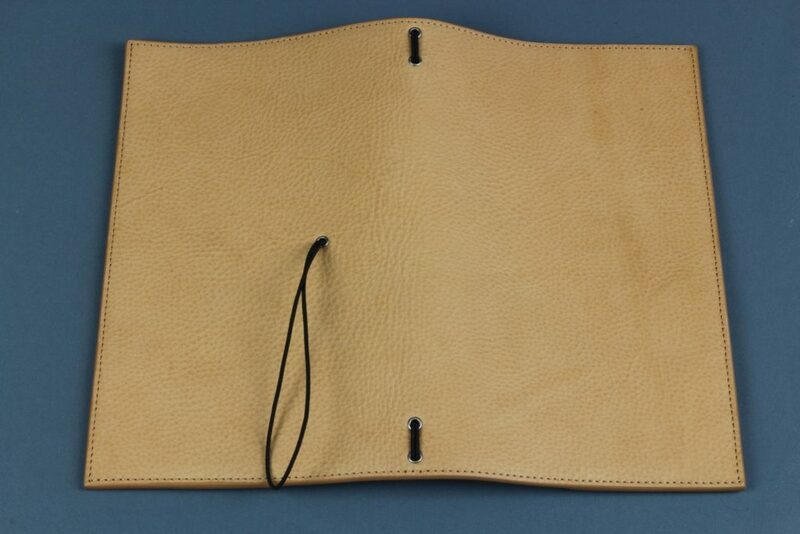 I’ve used this on other leather organisers before now to enhance their appearance. It is a bit more uniform now in colour and not quite so dramatic in what it looks like. Later that day (5 January 2017) I decided to have try a little experiment whilst also exposing the cover to the sun. I printed out the Gillio logo on some paper and then carefully cut around the outline of it. Popped it under the elastic and put the item in the sun at my home here in France. And a few hours later, yes that worked! 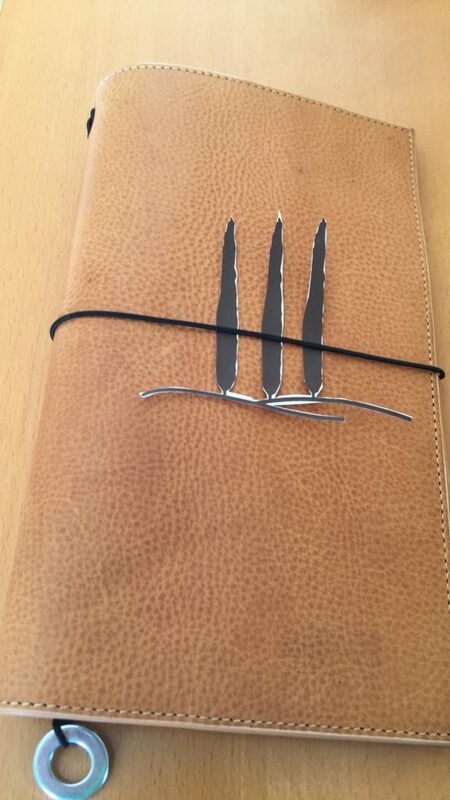 You can clearly see the logo on the front cover!! Fast forward a few weeks to 6 February 2017 and on any sunny day the Giramondo was out there claiming the best spot in the sunny side window! I had been mainly exposing the outside to the sun and as you can see the elastic tan line is more distinctive and the colour has become more golden. I found a way to expose the interior in a similar way to the exterior so for a few more weeks as we went in to Spring sunshine the interior was also given some sunshine treatment. 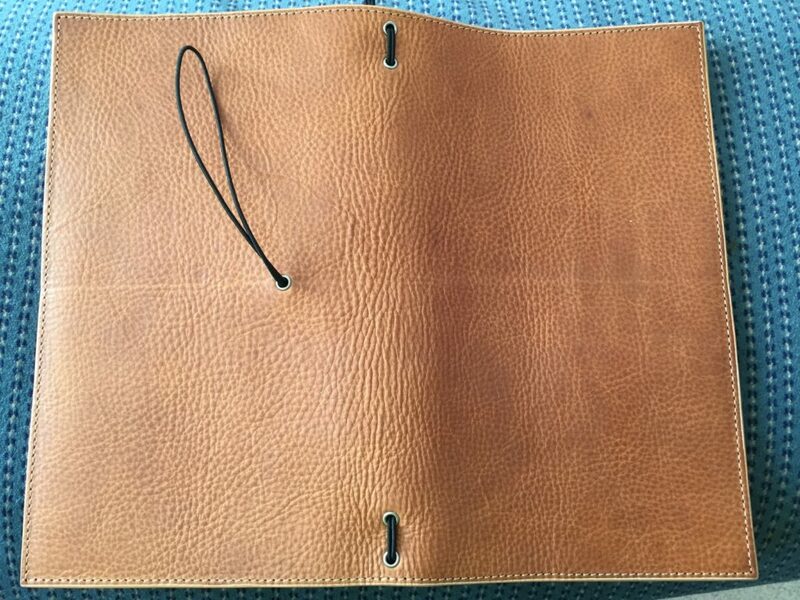 Behind the secretarial flap once opened shows the contrast, no leather care was applied behind there, or in to the inside of the left hand slip pocket. I quite like the finished result, the variation in colour and how the texture is magnified adds real character to the item. 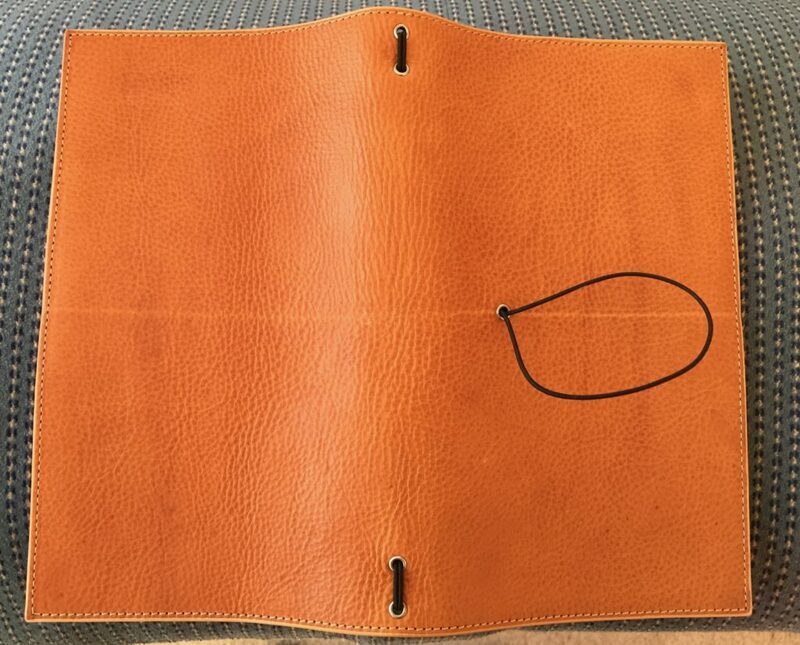 The leather during this comparatively short test has remained supple and I think will improve with age and usage. 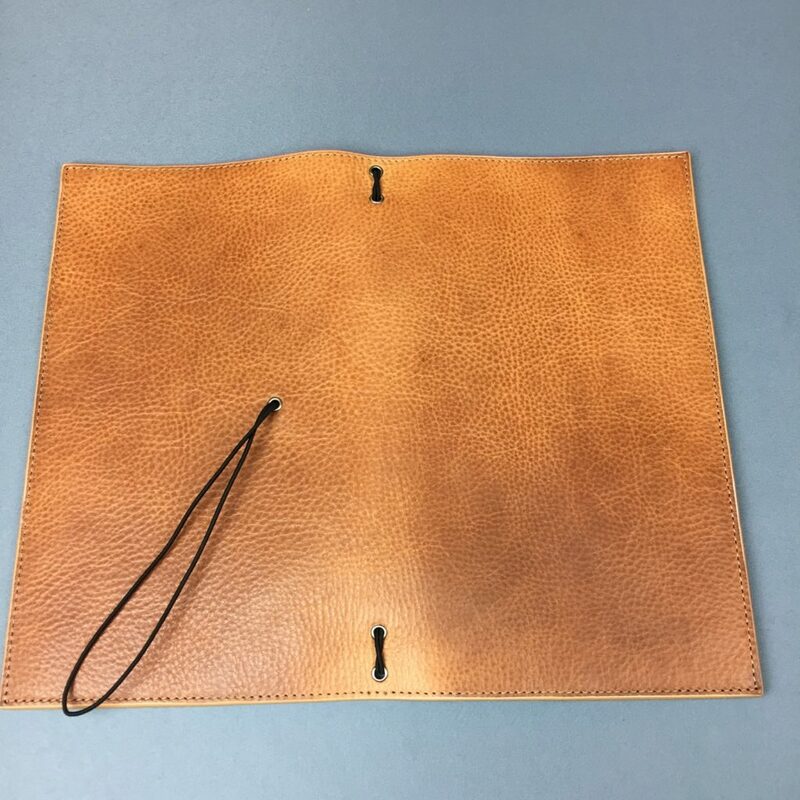 To learn more about how un-dyed leather changes with age, I strongly recommend reading Janet Carr’s (This Bug’s Life) posts on her Van der Spek Un-dyed organiser which she received to test back in November 2014, there are many posts in the series. 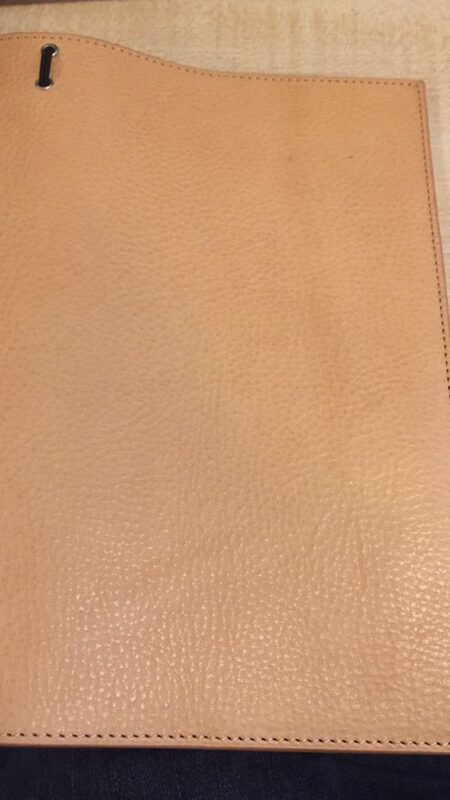 Thank you to Gillio Firenze for supplying this sample for me to test out!